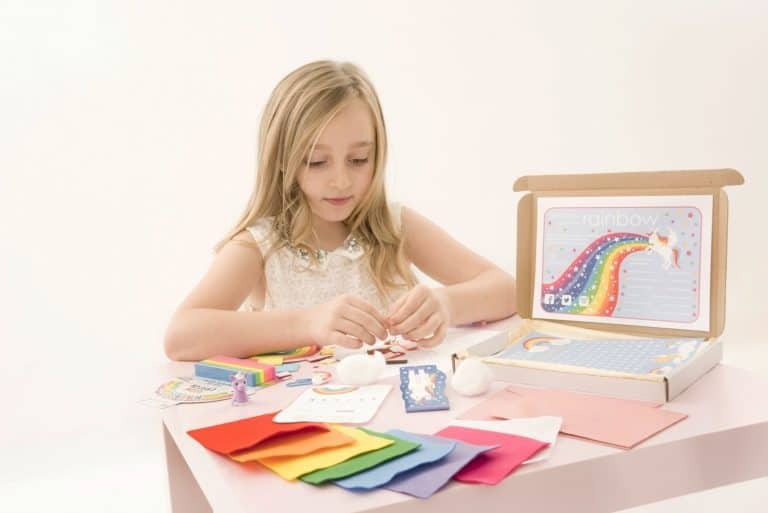 Mila and Pheebs create stationery and activity boxes for children. 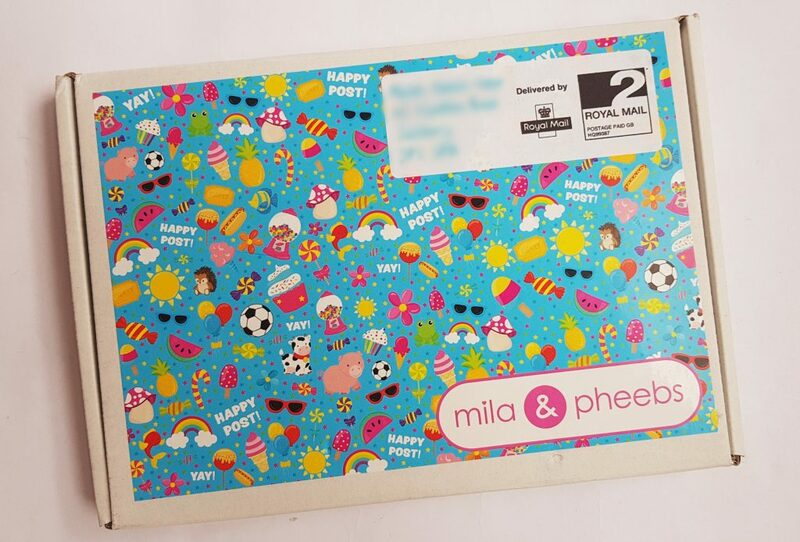 They contain a mixture of stationery, crafts, stickers, and fun items, based around a different theme each month. It’s £10 per month plus £2.99 P&P. There’s a new box design! It’s so bright and colourful, it’s a great addition. 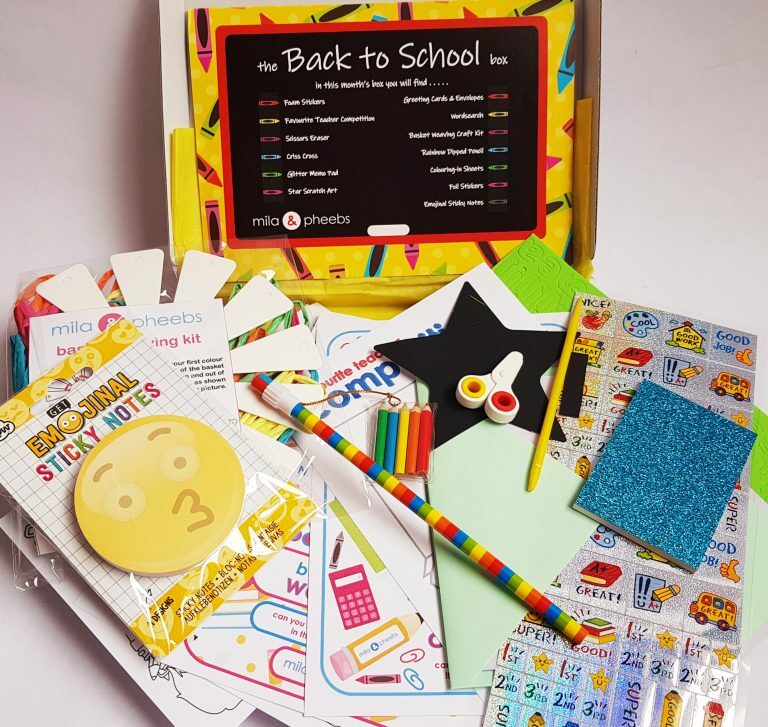 This month’s theme is perfect – Back to School! 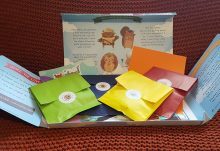 As well as the contents, this month’s newsletter has all the usual jokes, trivia, and other fun stuff. These emoji sticky notes are so cute! There’s also a tiny sparkly notebook and this month’s mini eraser, this time in the shape of scissors. 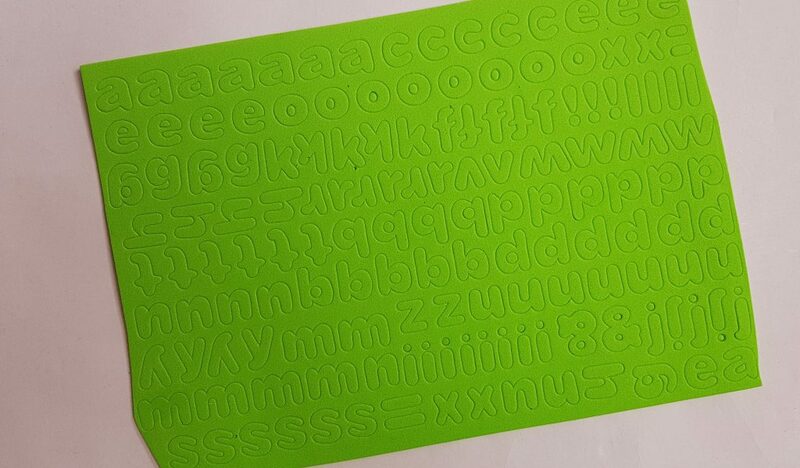 …and chunky foam letter stickers. 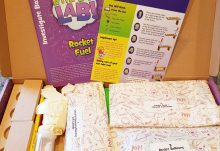 Here are the two craft kits. 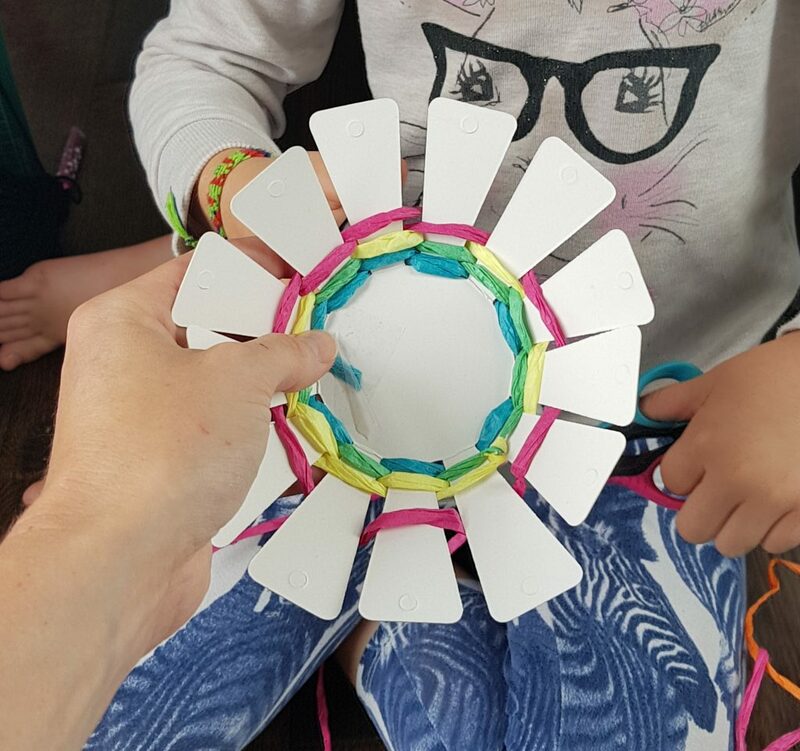 You can create your own little brightly-coloured basket with the basket weaving kit. There’s also a star scratch art kit, complete with a magnet to stick on the back. These little scratch art things are a lot of fun, a simple idea but they look very effective. 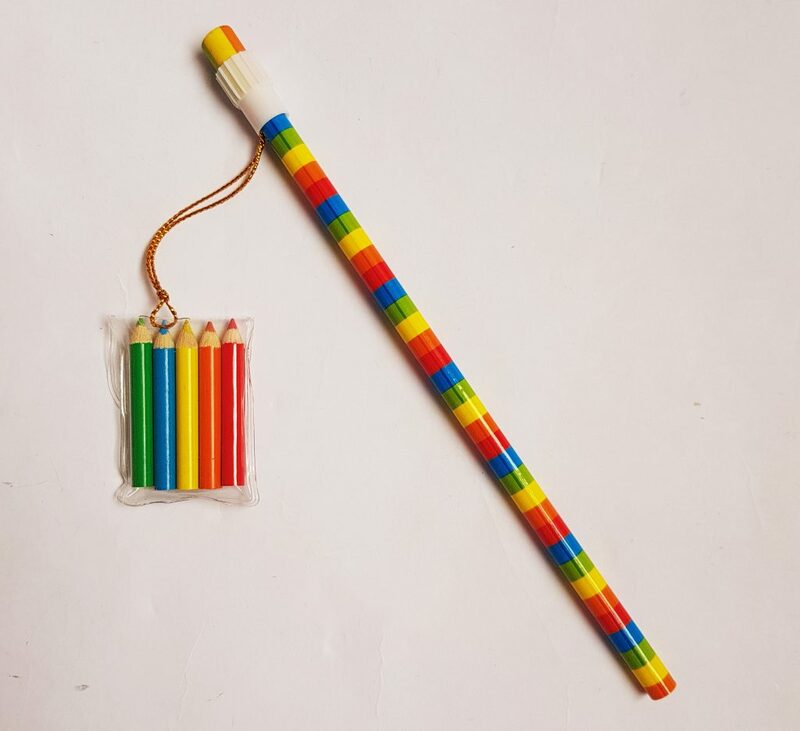 This is an incredibly cute pencil with a set of tiny colouring pencils attached! I love the rainbow colours. 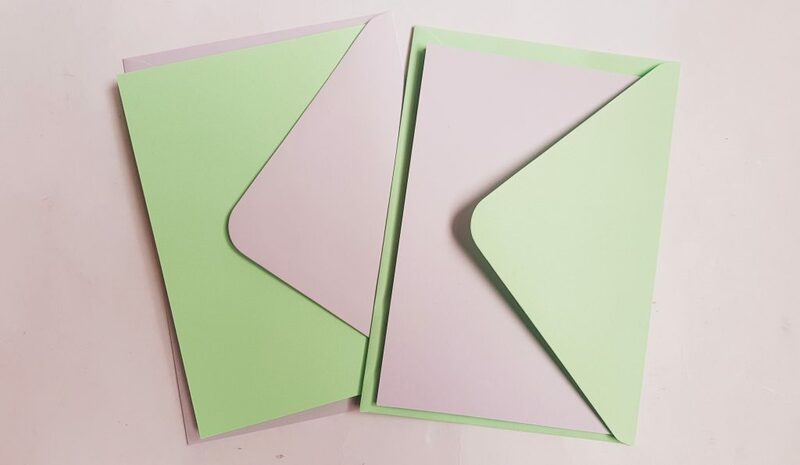 There are always two blank greeting cards to decorate and send. Finally, this month’s colouring sheets and puzzle sheets. 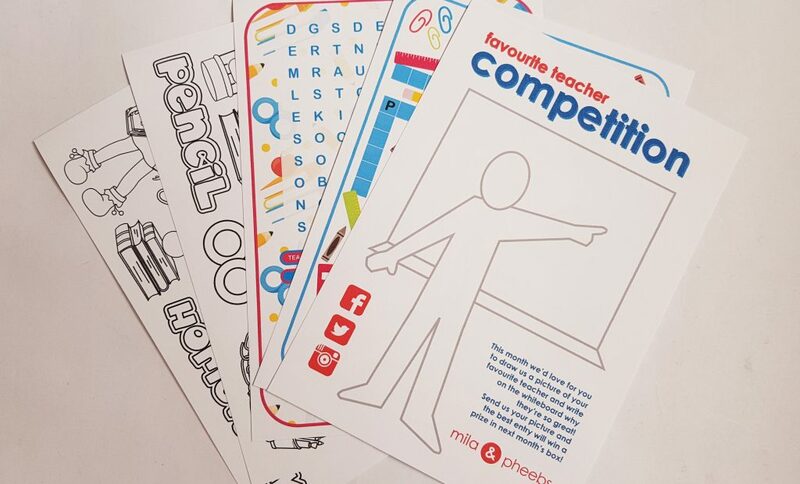 There’s also another competition, this time to draw a picture of your favourite teacher. This is the perfect theme for getting ready for a new school year. 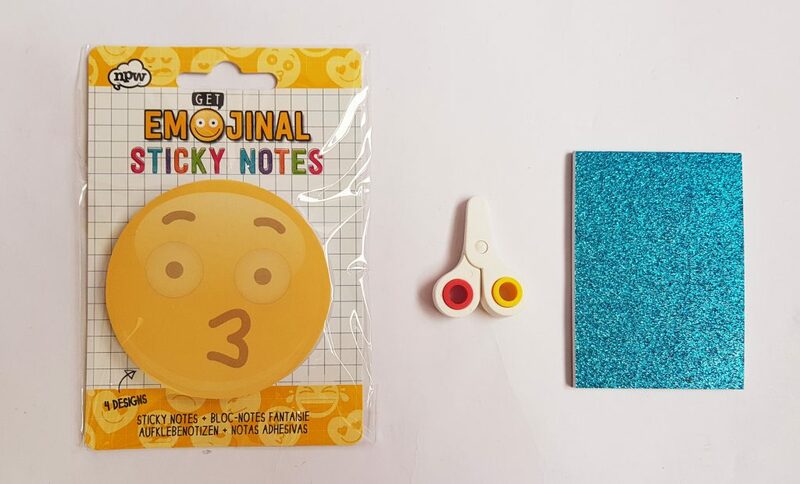 The emoji sticky notes are particularly cute, I’m quite tempted to borrow them myself! 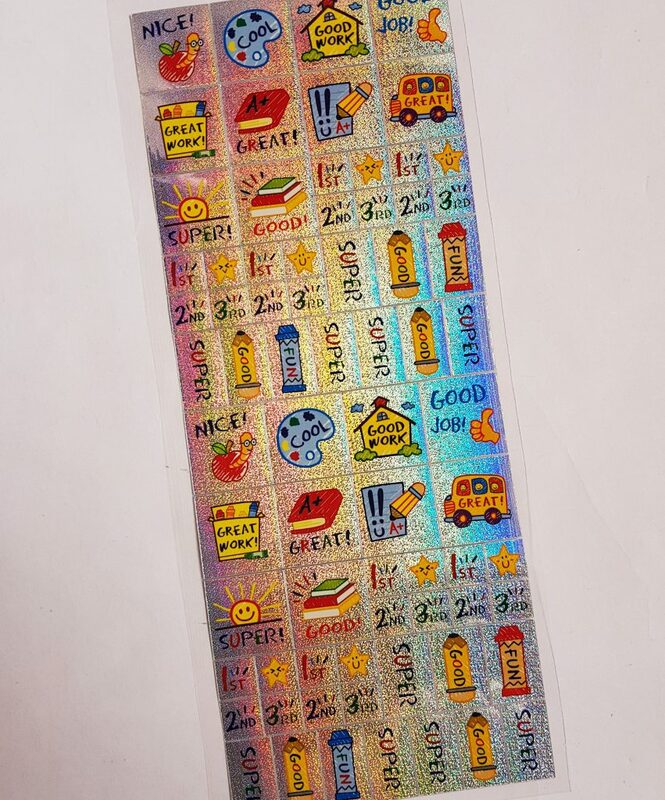 The stickers will be great for decorating books and folders, or even the tiny notebook. 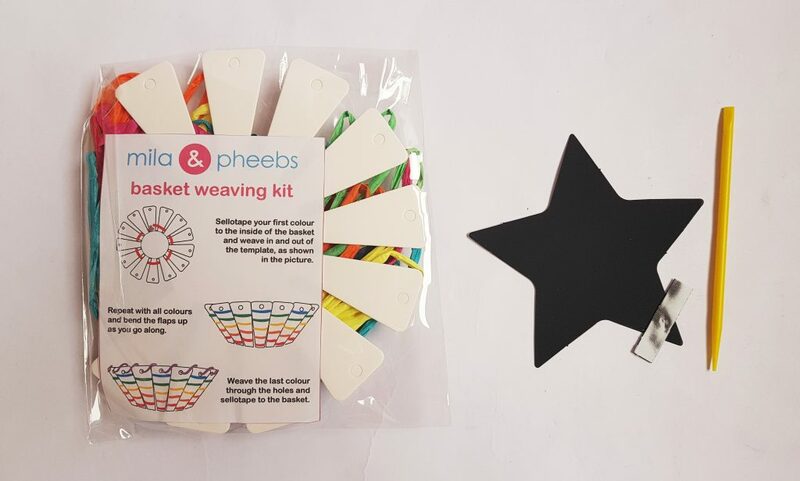 This month’s craft kits are especially nice, particularly the basket which would look lovely as a desk accessory. 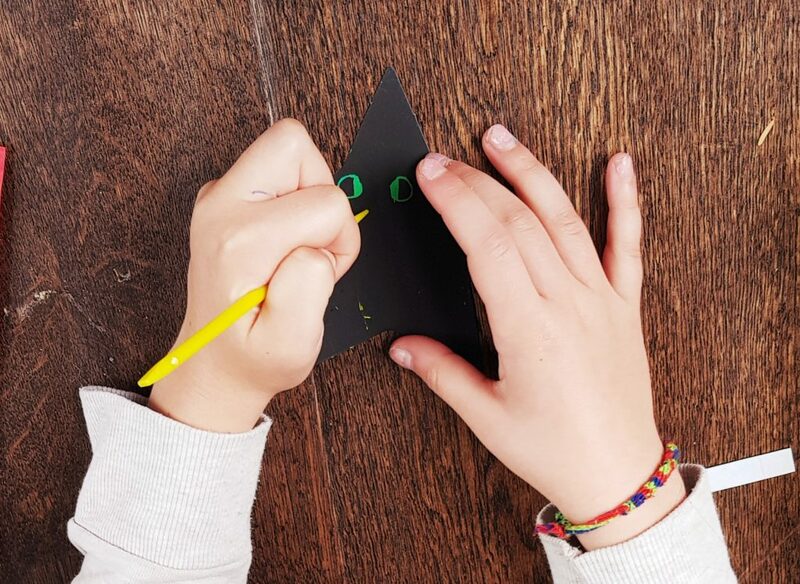 The scratch art kits are always popular in our house! 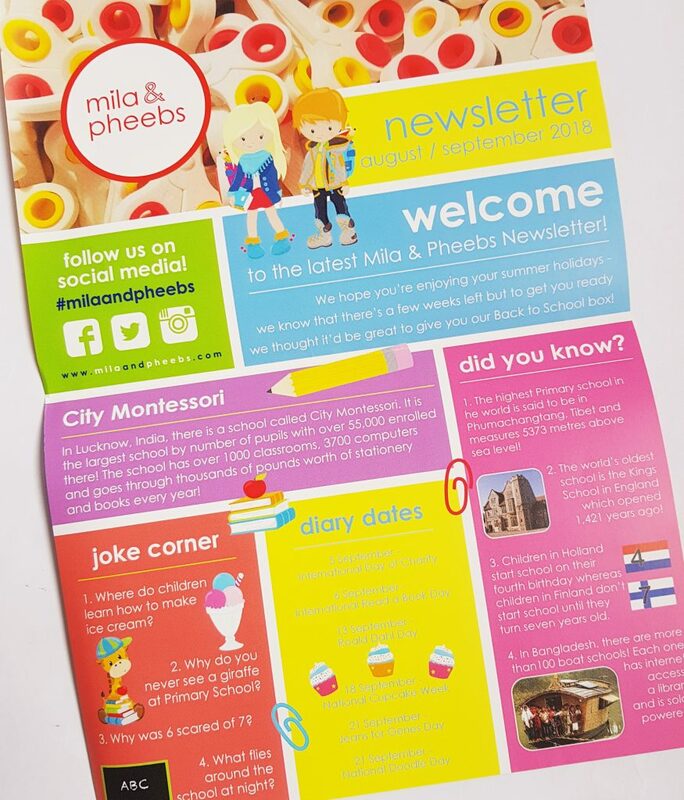 I love that all the Mila and Pheebs boxes are entirely neutral and can be enjoyed by girls and boys. 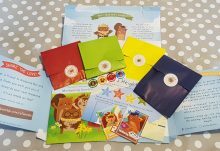 There’s a great mix of creativity, as well as a bit of fun educational value in the puzzles. Our stationery cute mini eraser collections are coming on very nicely! Once again, a great selection of things to do and things to keep and use. 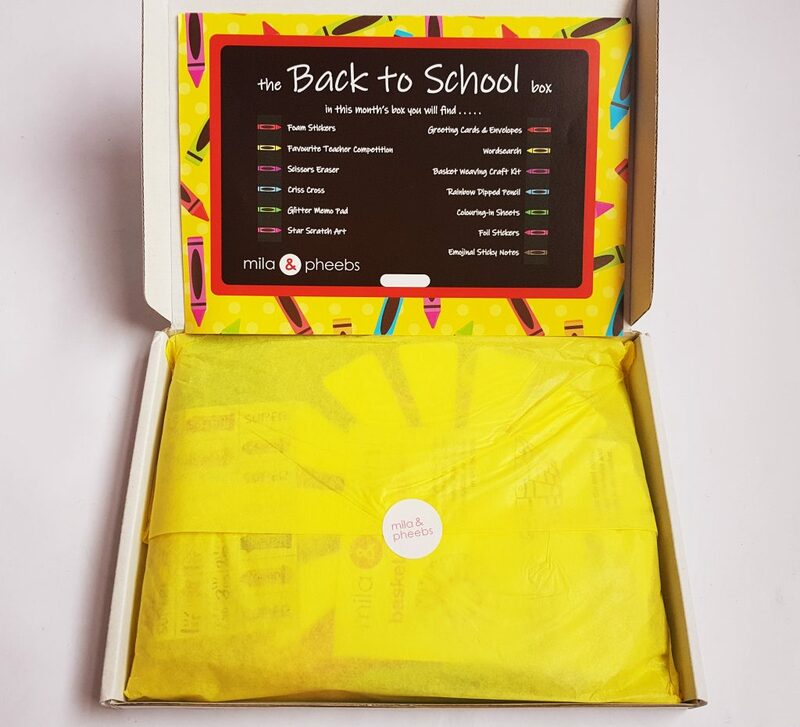 A perfect treat to take back to school!